One item it seems we can never keep enough of in our house is batteries. Between the kids, John and myself and all our household gadgets, batteries are in high demand. John is a gamer so he’ll go through a ton when he’s in the middle of a gaming marathon with his online friends. When the kids were little, I remember needing batteries to power all their toys. Moms and Dads, I’m sure you can relate to that! What if I told you that you wouldn’t have to buy batteries again for a few years? You’d think I was crazy, right? I recently learned about Panasonic eneloop Rechargeable Batteries and they’ve been a game changer in my home. In fact, I’d never even known you could buy AA and AAA rechargeable batteries! If you didn’t know that either, I’m here to tell you that you can! I have rechargeable batteries for my DSLR camera and John has one for his cordless drill. That was the extent of my knowledge of rechargeable batteries. I’d always purchased disposable batteries in the past and I always seemed to run out of them at the most inopportune times. For instance, I’d be in the middle of a Netflix marathon and the battery in my remote would die. Annoying. So why switch to Panasonic eneloop Rechargeable Batteries? Here are 8 great reasons why you need to buy them for your home. 1. They come fully charged and ready to use. You can pop them into your remotes, game controllers or kid’s toys and start using them right away. You don’t have to wait hours for them to charge. Usually when you need a battery, you need it NOW so this is a fantastic feature. 2. They last years in storage. I love that you can buy a package and can leave it to sit for a few years if you like. I’m sure you will want to use them right away, but this is handy if you want to stock up on a bunch of them or buy some for a gift for a tech loving friend. The rechargeable battery I tested out retains 70 % capacity after 5 years of non use. 3. You can recharge them over and over again. When the battery power runs low, simply pop them into your Panasonic battery charger. It plugs into a wall outlet to charge and takes around 10 hours. The ones I tested out can be recharged up to 2100 times. Wowzers! 4. You will reduce your household waste and help the environment. I hate having to dispose of batteries because you aren’t supposed to just throw them into the trash. With Panasonic eneloop Rechargeable batteries, you won’t have to throw any away for years! 5. You can take more pictures with your digital camera. If you have a digital camera that takes AA or AAA batteries, switch to these rechargeable batteries. You’ll be able to take 4.4 times as many photos compared to conventional dry cells. 6. They still work in the cold. Though they are for indoor use in your home, these rechargeable batteries will even work with temperatures as low as -20°C. Hopefully, it never gets that cold in your home, but it’s good to know that your batteries will still work if you need to use them outside in the cold. 7. They are cost-effective. You may pay a little more at the beginning to buy them, but even then, the price is still reasonable. Plus, you won’t have to buy batteries for years so in the end, they will save you money. 8. They use the Green Certificate system. eneloop Rechargeable Batteries are charged via solar power, an eco-friendly type of energy, prior to your purchase. I’ve added one item to my to-do list: buy more eneloop Rechargeable Batteries! Are you ready to make the switch too? Check out eneloop to learn more and find a retailer near you. I think once you try them, you’ll be impressed by all their unique benefits! 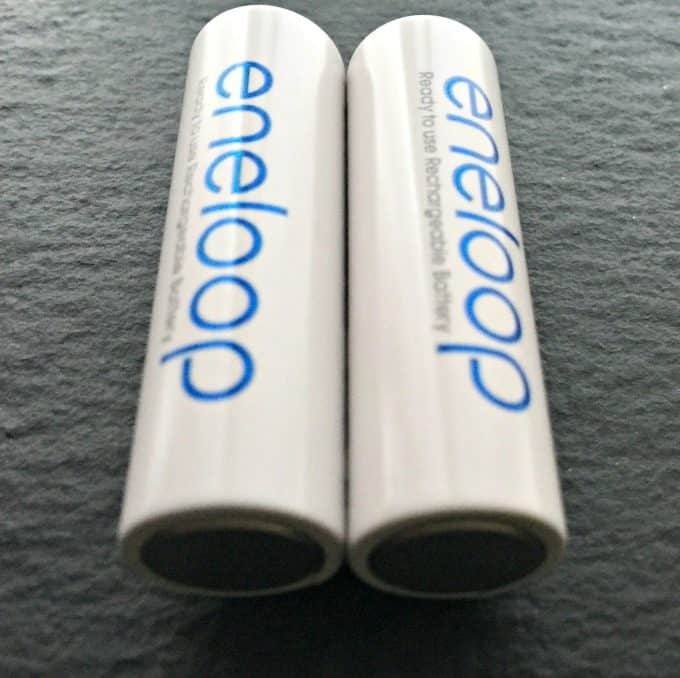 How would you use eneloop Rechargeable Batteries in your home? I am going to check these out. My experience with rechargeable batteries is that overtime they don’t hold their charge as long. There’s been many changes to rechargeable consumer batteries over the years. The biggest and most obvious is the huge increase in capacity. Cells that used to be 1 amp/hour in capacity are now routinely in excess of 2.5X as much. The issue you mentioned about not holding a charge *was* a huge issue, but there’s two types of cells now: High capacity and low self discharge. 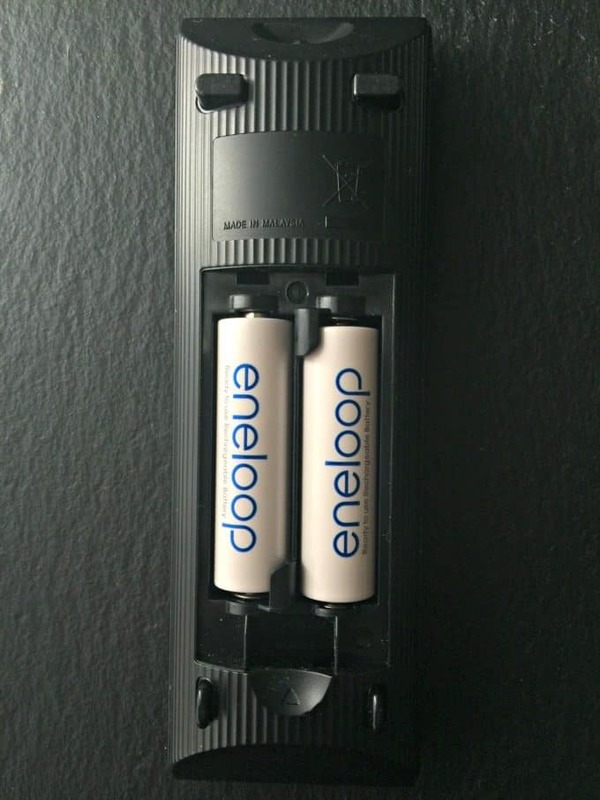 These eneloop are sort of a hybrid of the two. Decent capacity as well as low self discharge. The self discharge thing simply means that even if a battery wasn’t even in a device, it still would lose charge almost as if it had a tiny hidden light bulb or other “load” inside that never turned off. The newer cells you buy these days are FAR better in this respect. It’s also good to buy a good charger. Poor chargers can be identified by taking over 4 hours to charge a cell (Generally these just keep pumping current into the cells until you take them out. Very hard on them) or by overheating the cells. A good charger will generally charge in under an hour and the cells will be only warm enough to hold comfortably in your hand. If they get hot, get a new charger. Even a 100 dollar charger is cheaper than a fistful of NiMH batteries. Maha makes outstanding chargers if you can find one. I have never heard of these batteries. I would use them for my flashlights, which never seem to have battery power when I need them most. I’ve always preferred rechargeable batteries, but I’ve never heard of this brand! I’ve been using rechargeable batteries for a long time now, but I’ve never tried Eneloop before. They sound really great, though. I love that they work just as well in the cold. I’ve never heard of these batteries and we too go through SO MANY. I love that these come fully charged and that they are ECO-friendly. In the past we have tried rechargeable batteries but I’ve never been impressed at how quickly they lose power. These look like they work much better I would definitely have to look into it and see if they sell this here. I had never heard of this brand of rechargeable’s so I think I’m going to check them out and buy them. I really liked that they’re charged by solar power. I had heard of rechargeable AA and AAA batteries before but never tried them! Definitely worth finally checking out. They seem so convenient. We buy so many batteries. I guess we should invest in some of these batteries! I hate when I dig out some batteries and they’re dead. These sound like it wouldn’t be a problem anymore. I will have to pick up some Panasonic eneloop Rechargeable Batteries for the Wii remotes. I love that they come fully charged and ready to go. i will have to add Panasonic eneloop Rechargeable Batteries to my shopping list. The kids use a ton of batteries with their toys. I need to stock up on rechargeable batteries for all of our devices. I bet I will save a ton of cash on replacing batteries. I think I could definitely benefit from these. I go through batteries like crazy. Rechargeable batteries are a great way to power your devices. I will have to look for Panasonic eneloop Rechargeable Batteries on my next shopping trip. I love rechargeable batteries. They’re such a lifesaver too. I’ve never heard of this brand though. I’ll have to check them out more. I’ll have to get some of these rechargeable batteries. I didn’t know you could get these. We use rechargeable batteries for all kinds of stuff that needs batteries . This eneloop sounds like a good one to try! I’ve always used rechargeable batteries, but I’ve never heard of this brand! Will check it out! We go through so many batteries in our home! I’ve never heard of these ones but we need them! I am definitely going to check into these, we had some other rechargeable batteries but they didn’t work that great. Thanks for the information on these. I need these for so many things in my house! Remotes, video game controllers, and the list goes on! My husband lives for his rechargeable batteries and I am always looking for new ones to add to his collection! we use them in our radios and I always like to give them out as gifts with toys! Thanks for the heads up on this new brand! I am a big fan of rechargeable batteries. It is nice to have power readily available rather than running to thw store all the time. I should make the switch to rechargeable batteries. The kids have so many toys that use batteries. I feel like we’re constantly buying batteries. I prefer rechargeable batteries for my kids stuff that needs batteries. I think, I need this. Rechargeable batteries are worth the extra cost and will save you lots! By far the best rechargeable batteries. I have been using the same set of eneloops since 2010 and they are still showing no sign of being worn out. P.S. Often on sale on the Dell site. I use the eneloop pro AAA 900mah batteries in my usb chargable walki talkies for work. I used to use them in my 580 lux. head lamps but they didnt last an entire day of use and waiting 8h or w.e. to charge wasn’t realistic. 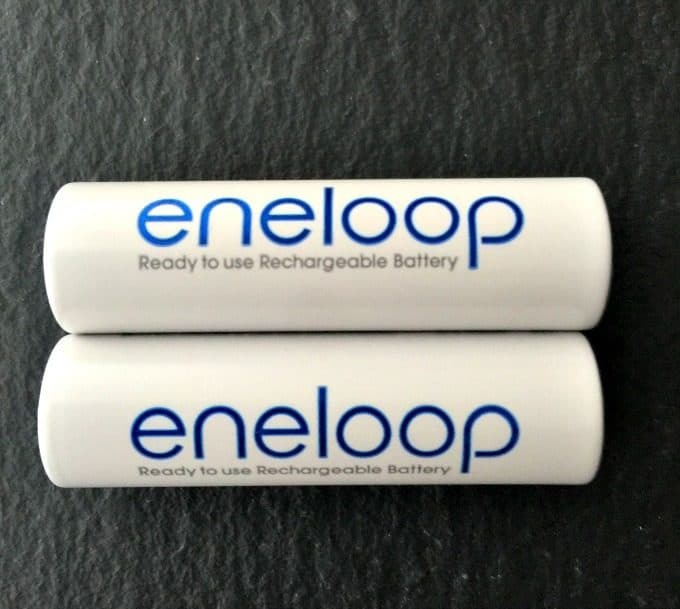 if your going to buy rechargeable ni-cad’s then buy eneloop pro imo. anything else is a bit of a waste of money. Have used these. Not overly impressed. Bought them on the recommendation of the salesperson. I have not purchased non-rechargeable AA or AAA batteries for over 30 years. It’s possible that they were duds, as sometimes happens with rechargeables. However, my wife returned a set to me, as they didn’t last as long as a set of Rayovacs, and I have found them no better than some other rechargeable batteries I have purchased. Given the price differential, I would have expected better. Energizer has been making/selling rechargeable AA & AAA batteries for years? What is so special about these? If you really want to be amazed, you can actually buy a battery charger that safely charges alkaline batteries, they do not need to be special rechargeable ones. Just make sure you don’t try to resuse/recharge dollar store batteries because they are cheaply made & leak & can possibly explode. I own it & it’s AWESOME! It has been my consistent experience that rechargeable batteries rarely ever charge to the full capacity that aa and triple “a” batteries are rated for; that is, they don’t charge to 1.5 V. For this reason they are generally a poor choice for cameras and other devices requiring the full charge that alkaline and regular batteries provide. Buyer beware! Of course, Sanyo (now Panasonic) isn’t the only one to make low self discharge cells anymore and there’s no reason to spend that money for devices that just don’t need a 2.1 amp/hour LSD cell. If you want LSD cells from other companies so you can get a better price, just look for the “pre charged” or “Use straight from the package” or something to that effect. ALL cells are charged before leaving the factory and the only way for that charge to still be there is to be LSD type cells. If maximum runtime out of the charger is the goal though, don’t use these types. Look for higher capacity conventional NiMH cells. The eneloops and other LSD types are generally 1.5 to 2 amp/hour or less while non LSD types can be 2.7 or higher. When it comes to overall lifetime performance though, the charger is just as, if not MORE, important than the cells themselves. Even the best cell doesn’t last long when the charger sits there and humps 1/3C worth of charge into the battery the entire time it’s in there or the engineer set the temp cutoff for a fast charger so high that it bakes the cell.